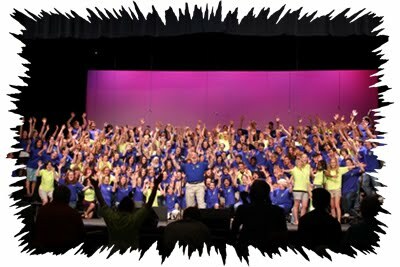 Since 2013, we have sponsored an annual one-day event to train and encourage high school youth (young men and women) in the art of barbershop harmony. For example, in 2015, sixty-five young people representing nine high schools in the greater Portland area gathered at Rex Putnam High School for the third annual Youth Barbershop Jamboree. The Jamboree is the main focus of the Young Men in Harmony outreach of our chapter.. They were treated to education on vocal production and singing technique, ringing chords, and artistic expression, plus a feast of barbershop lore and audio/video of champion performers.